Welcome to our Chrysler Jeep Dodge Parts Special Page. At Williamsburg CDJR, we take pride in offering an exceptional value on all Genuine OEM Chrysler, Jeep, Dodge and Mopar performance parts and accessories, so if we happen to be missing specific specials today, you can rest assured you’ll get a fair price from our locally owned and operated Chrysler Jeep Dodge new car dealer. 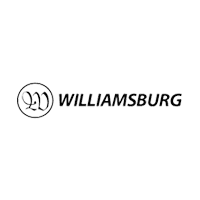 You’ll Love shopping with Williamsburg CDJR. We are your Hampton Roads New Car Dealer and the authorized Chrysler OEM Parts specialists. Find your Chrysler Parts, Chrysler Accessories, Dodge Parts, Dodge Accessories, Jeep Parts and Jeep Accessories. When looking for genuine OEM Jeep parts in the Peninsula, you’ll find we are conveniently located to Newport News and Richmond. Additionally, for Dodge parts and accessories customers, we are a short drive from West Point, Smithfield, Yorktown and James City County. Would you like the convenience of ordering Chrysler, Dodge or Jeep parts online? You can order your Mopar, Chrysler, Dodge and Jeep parts and accessories online with our convenient online auto parts order form.